Here’s a classic 5s rhythmic lick, but in 7/8. The second line is the same as the first but it’s just a different way of seeing it. Playing familiar rhythmic figures in odd time signatures is an excellent way to add rhythmic ammo to your arsenal. 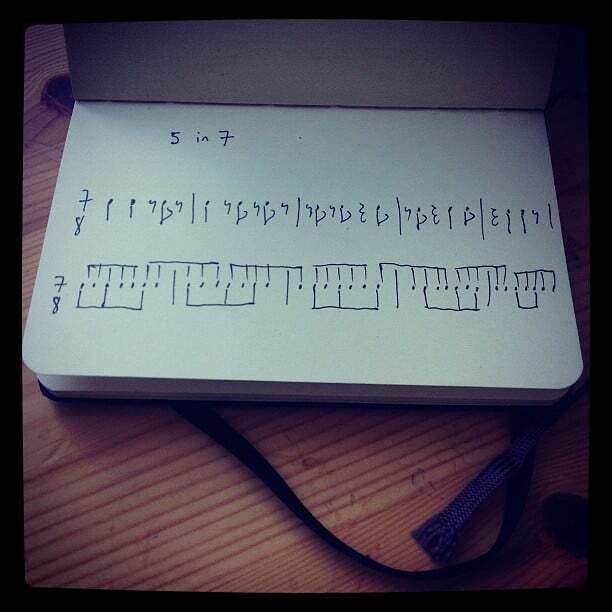 Can you think of any common rhythmic patterns that you use? What would they sound like if you played them in an odd time signature?